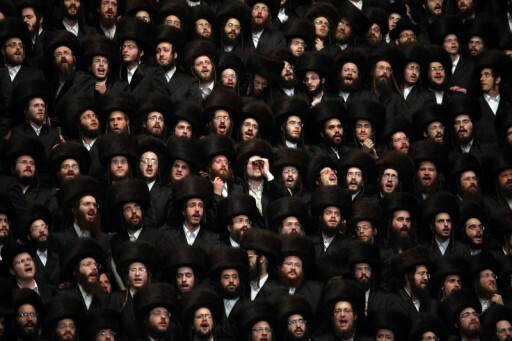 Israel - The major hassidic groups in Israel will not run the usual summer vacation programs for students from the Fast of the Ninth of Av to the beginning of the Jewish month of Elul because of the current military campaign several hassidic spokesmen said on Tuesday. The large Gur, Belz, Viznitz and Sanz hassidic groups, among others, are all expected to cancel the usual summer vacation activities for students, and maintain a substantial study program in yeshivas. The Fast of the Ninth of Av is the traditional end of the summer yeshiva semester and many institutions arrange for holiday excursions, hikes and other activities for their students along side a half-day study program. According to a spokesman for Gur, the schedule for the three weeks between semesters this year will include the study of lighter texts alongside the usual curriculum of Talmud while the study environment will be less formal than during the official semester but he said that the same study hours as normal term-time will be observed. A spokesman for the Belz hassidim told The Jerusalem Post the Belz Rebbe Rabbi Yissachar Dov Rokeach has said that now is not the time for yeshiva students to go on vacations and hikes when soldiers are engaged in war and Israel’s security situation is so severe, and emphasised the widespread belief in the haredi world that the merit of Torah study provides spiritual and even physical protection for the Jewish people. This claim is widely cited by the haredi public and leadership as a reason for not enlisting in the IDF since it would damage Israel’s spiritual protection. The Gur spokesman said that the general feeling within the hassidic community at the moment is that such vacations are not appropriate in the current circumstances. “You cant say the whole time that those who study Torah provide protection and salvation for the Jewish people and then go on vacation,” he said. According to a leading figure within the non-hassidic haredi community, yeshivas in that sector will also not put on the usual summer vacation plans although whether or not students will remain in yeshiva has not yet been decided. Also of note within the haredi community is the recent publication by the haredi Mishpacha weekly newspaper of the pictures and short biographies of the many soldiers who have been killed in Operation Protective Edge. It is the first time that a haredi publication has adopted this practice and one haredi commentator described it as a significant development within the community. Eliezer Shulman, an editor for Mishpacha Magazine, told the post that the haredi community is extremely concerned about the wellbeing of the soldiers, pointing to various prayer initiatives for IDF forces and other programs which have been adopted by the haredi sector. He said that the newspaper had received a lot of positive feedback for publishing the photos and details of the fallen soldiers, and that people had commented that it helped them feel connected to those killed instead of relating to them as simply names on a radio broadcast. This is the right way to do it. Yasher koach to the bochurim for putting their money where their mouth is. They are as much soldiers for klal yisroel as the men (and women!) with the tanks and the Uzis. Soldiers don't go on vacation in the middle of a war. This is an important moment in history. It must be very clear at this time that the IDF protects all the citizens of Israel and the diaspora. We have come together to daven, ask for the names of soldiers, bring supplies and food and be encouraging to the families of Tzahal soldiers. Whatever nussach you want to use to daven for the soldiers - daven for them, in public - the mispallelim really pay attention and care about these teffilos. No the IDF does not protect. Hashem does, through his sluchim, now being IDF, the dome, whatever you wish. But don't forget...Hashem doesn't really need anyone to help him do the job.. AS we all know from jewish history, a small fly in the nose of the right person, could do the job...So Torah is as much a protection as IDF, the dome, or anything material. Don't ever forget that. The Ribono Shel Olam is shepping much nachas knowing that the Torah world is davening for the Chayalim and hopefully klall Yisroel are seeing the Chasdei Hashem that many missiles have gone into open areas and are acknowledging that the zchus of Torah has saved us in these and many other situations. Soldiers of Torah and those of military might-we need both and we need for each one to respect other's roles in this important fight. May we be zoche to be mazliach in this battle, amain. This is no doubt going to bug the heck out of AlterG and Maven. Heh heh. What a beautiful kiddush Hashem. Too bad it took a war for this type of solidarity to surface. I hope the litvishe yeshivos will follow suit and let the chassidishe, mizrachi and chiloni factions know that we are all one. THAT is what will lead HKB"H to bring us the geula. Now that we're all on the same page, finally, I wanted to bring to your attention an opportunity to do a great mitzvah for the IDF. They are in need of camouflage-colored, dri-fit tzitzis for the troops. The white ones could show at night and put their lives at risk and are not comfortable in fighting conditions. You can read about this on the Ben's Tallit Shop website. Donations are being accepted through American Friends of the IDF Rabbinate. We are all together in this war. Some fight with bullets, others with Torah. Kol Hakavod. In my community, which is leading the donations & physical support for the soldiers, we have been asked for tzitzit as even the most Chiloni soldiers want to start wearing them. They also want pocket sized sifrei kodesh, including siddurim, Tehillim, & Chabad ChiTaS. Please do what you can to sponsor these items. Maybe if they had studied the rest of the year, the war would not have started in the first place. Right. And maybe if everyone possessed a working brain we wouldn't be subjected to stupid comments. "The Ribono Shel Olam is shepping much nachas ..." Chanala knows! She really knows! She has direct connections! Wow! Nebach, poor me, I don't know. And the "Torah world is davening for the Chayalim ..." Wow, what a great sacrifice! ממיתים עצמם באוהלה של תורה Well so far I have not seen any levayas of these "soldiers of torah". But I have seen, on television (oy oy oy) and in person, levayas of "those of military". Two days ago I went to the levaya of the soldier grandson (yah, grandson) of a guy who davens in my shul. There were probably a few thousand people there. I saw one black suit/hat. One, he was the rov of the yeshuv. Also on TV at other levayas I saw almost no black suit/hat-s. I guess they were too busy "davening for the Chayalim". Chanala, your sanctimony knows no bounds. Like I heard from a charedi relation (English speaking): Let the shkutzim get themselves killed. That is an exact quote. "... we need for each one respect other's roles ..." It's the "shkutzim" 's role to get themselves killed. And you are proud of yourself! Hard to believe. “ "The Ribono Shel Olam is shepping much nachas ..." Chanala knows! She really knows! She has direct connections! Wow! Nebach, poor me, I don't know. And the "Torah world is davening for the Chayalim ..." Wow, what a great sacrifice! ממיתים עצמם באוהלה של תורה Well so far I have not seen any levayas of these "soldiers of torah". But I have seen, on television (oy oy oy) and in person, levayas of "those of military". Two days ago I went to the levaya of the soldier grandson (yah, grandson) of a guy who davens in my shul. There were probably a few thousand people there. I saw one black suit/hat. One, he was the rov of the yeshuv. Also on TV at other levayas I saw almost no black suit/hat-s. I guess they were too busy "davening for the Chayalim". Chanala, your sanctimony knows no bounds. Like I heard from a charedi relation (English speaking): Let the shkutzim get themselves killed. That is an exact quote. Perhaps your English speaking charedi relative is a bigoted idiot. Because apparently he has English speaking non-charedi relatives that make bigoted idiotic comments (yah yah). I may very well be an idiot, but at least I'm not a hypocrite. So apparently there is some hope for me. Now I am wracking my pathetic brain trying to figure out where in t'hillim there is hope for צבועים . If the Gur, Belz, Viznitz and Sanz rabbonim and their askanim had any common sense, they would direct their yungerleit to volunteer their services to help replace the work of those reservists called up for active duty or to go to military camps and help clean, feed and support the brave chayalim on the front. Its not realistic to ask them to assume any security functions where the may c'v have to put their lives and comfort at risk, but as least get out from behind their shtenders and do something useful for a few weeks. There will plenty of time for davening and learning after bein hazmanim. Just the opposite fool. This proves that charaydim love Jews as opposed to some writers here on VIN. Not funny at all! Maybe if YOU studied the war would not have happened? !